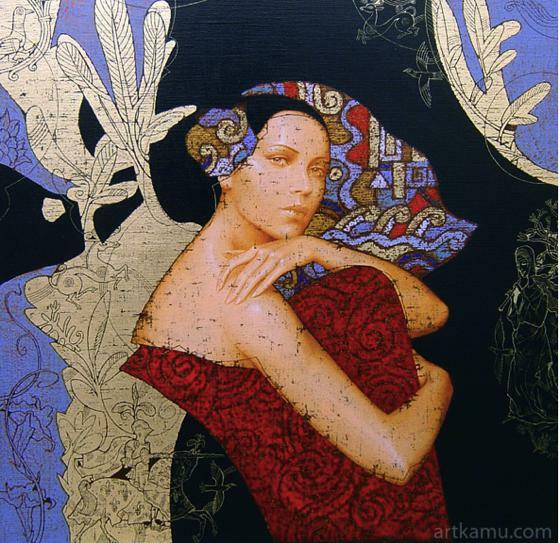 KAMU is a creative union of two artists, Olga and Sergey working under a pseudonym. 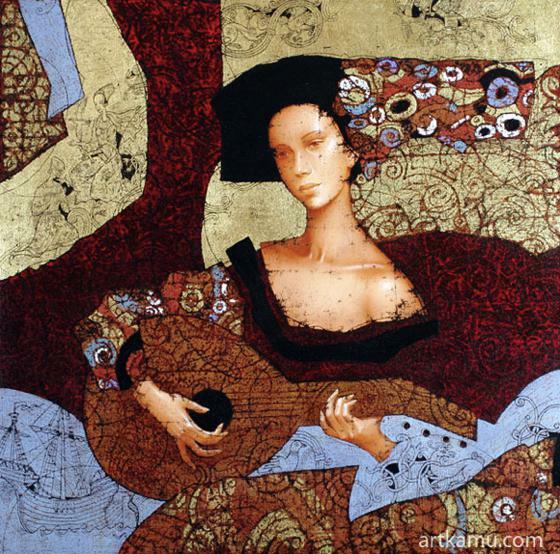 They live in France. 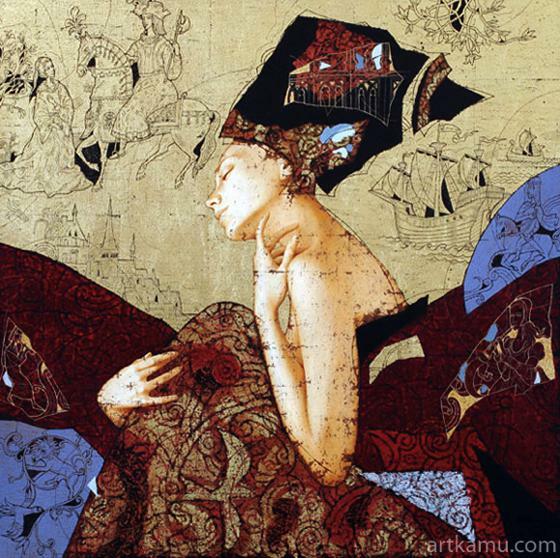 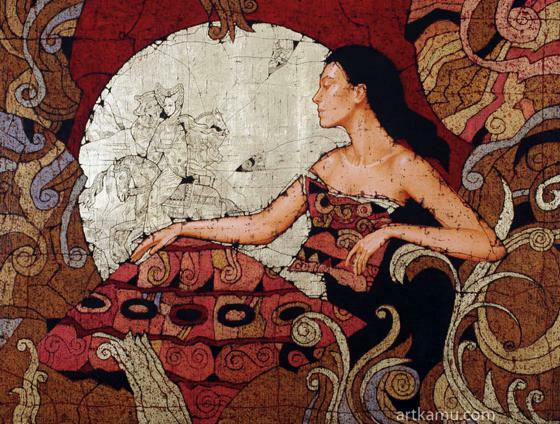 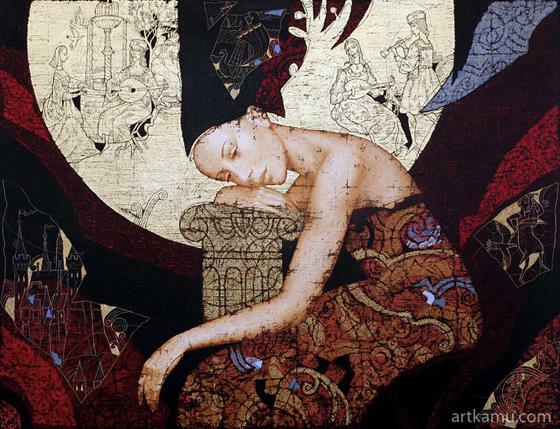 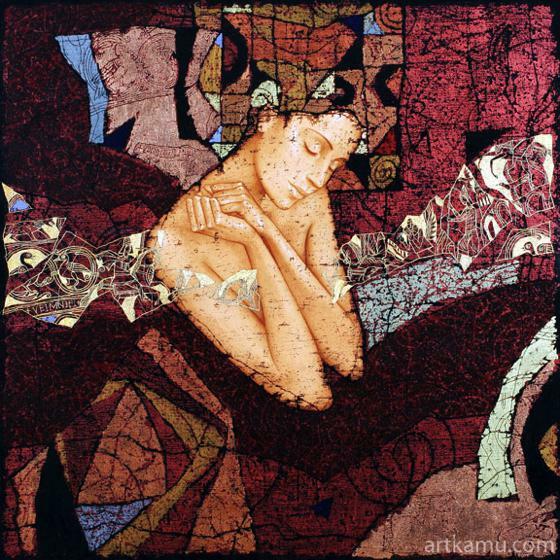 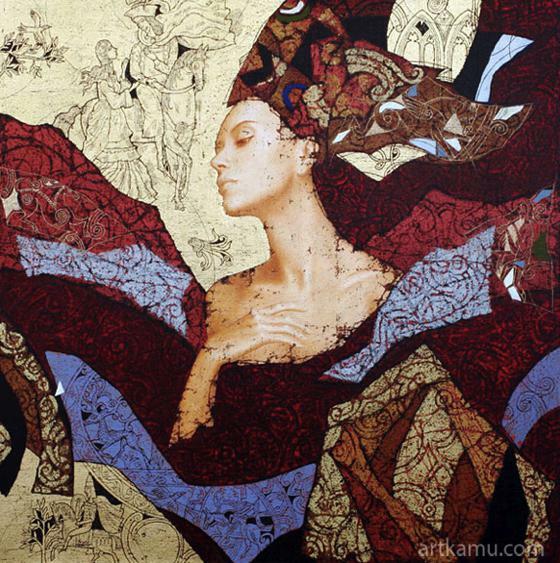 The works of KAMU giving us the image of a delicate and feminine woman, dipped in a dreamy and rich world of ornaments, textures and patterns that are quotations from the ancient famous artistic expressions. 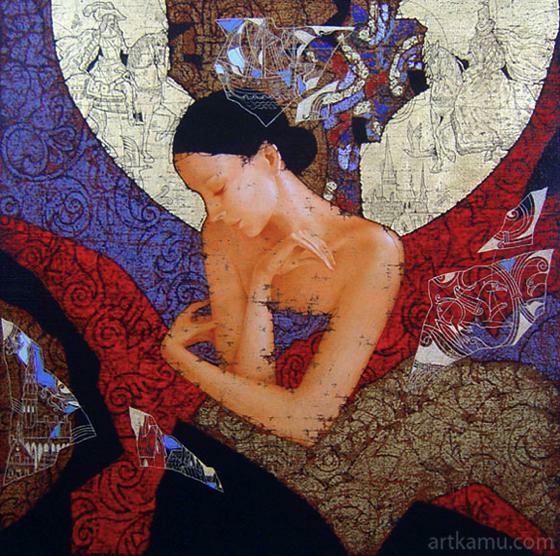 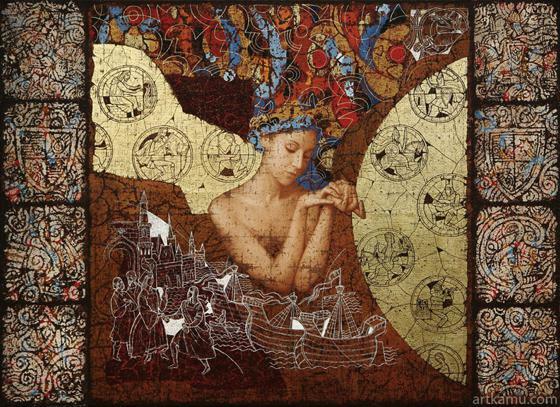 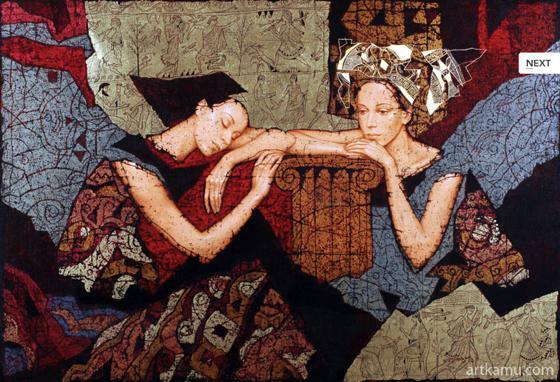 The peculiarity of the technic of the artists is a unique technology of preparation of the canvas with the application of several layers of colors and wax, use of gold leafs and combination of acrylic and oil painting. "